Mobile Messaging for Finance is being used by Norton Finance to enhance their customer engagement process. As a result, lead conversion rates are higher, customer satisfaction is good and they are able to maintain a competitive advantage. Norton Finance is an independent financial broker. Forty years ago, this Rotherham based family owned business provided secured loans and mortgages. The Norton Group of companies now deal in every aspect of the lending market; sourcing a range of financial products and services specifically tailored to meet the unique requirements of each customer. In tough economic times, it is ever-more challenging to stay one step ahead of the competition. The Group has addressed this by ensuring they operate efficiently; maximising and nurturing every new business lead and maintaining good customer service. Good communications are an important element of Norton Finance’s customer engagement process and this is reflected in their lead enquiry conversion rate. There is nothing worse than a post-enquiry or application ‘void’. If no confirmation or communication is received, people will question; has my application been received? Maybe it dropped into an internet ‘black hole’? Do I need to get in touch again? In order to maximise lead conversion rates and avoid enquiry drop-off, Norton Finance responds to all new customer enquiries on the same working day. The engagement process begins with a personal call to acknowledge receipt of the customers’ application/enquiry and to gather additional information. Further telephone contact is scheduled at key stages during the processing of applications, to keep customers updated with progress before final notification of completion date. To improve communications, Norton Finance wanted a mobile messaging solution that would seamlessly integrate with their incumbent Lead Management and Loan & Mortgage processing systems. ProcessFlows custom-built and installed an SMS Gateway solution to enable two-way text-to-email messaging within the familiar system interfaces used by staff every day. The text messaging system also allows Norton Finance to set up automatic, scheduled reminders at key stages during the finance application process, to make sure that no customer contact is missed. 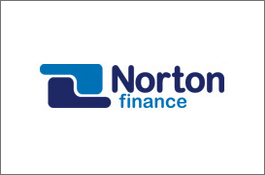 Having proven the reliability and robustness of the SMS solution and the front-line effectiveness of text as a customer contact reinforcement, Norton Finance are set to build on that and plan to expand use of text within marketing and for customer payment reminders.